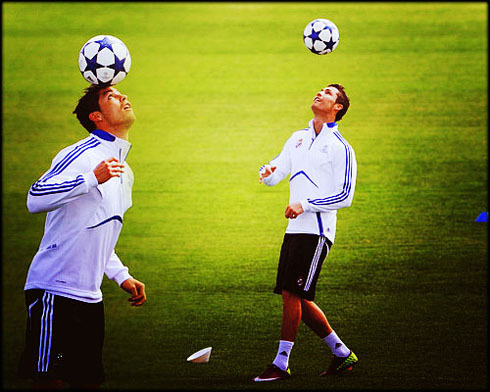 ﻿ Valdano: "No one should criticize Cristiano Ronaldo's professionalism"
07.11.2011 » Valdano: "No one should criticize Cristiano Ronaldo's professionalism"
Last week, Arrigo Sacchi criticized Cristiano Ronaldo, claiming that the Portuguese player had stopped developing as a player in the last years. Jorge Valdano granted his opinion in the Spanish radio show "El Larguero", from Cadena Ser, defending Cristiano Ronaldo from the critics and noting that CR7 is as professional as you can get. The former Real Madrid football director, Jorge Valdano, is now a weekly commentator in the Spanish radio "Cadena Ser". Valdano didn't appreciate Arrigo Sacchi critics to Cristiano Ronaldo, made earlier this week, when the Italian coach said that Ronaldo stagnated as a player over the last years. Valdano assured that if there's something on which CR7 can't be criticized, it's his professionalism and dedication in training. Jorge Valdano: "If there's something we can't complain about regarding Cristiano Ronaldo's character, it's surely his professionalism. 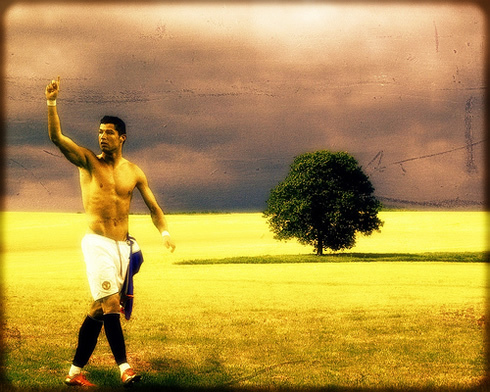 Ronaldo is an authentic professional and he proves that every day of his life." A few days ago, Arrigo Sacchi was quoted saying that the Portuguese player didn't improve his game in the last couple of years spent in Real Madrid. The Italian manager used that same critic and argument to compare CR7 with Lionel Messi, from Barcelona, but Valdano disagrees. Valdano: "Cristiano Ronaldo has worked very hard since he arrived at the club, both in the Valdebebas training center, as well as in the Santiago Bernabéu. 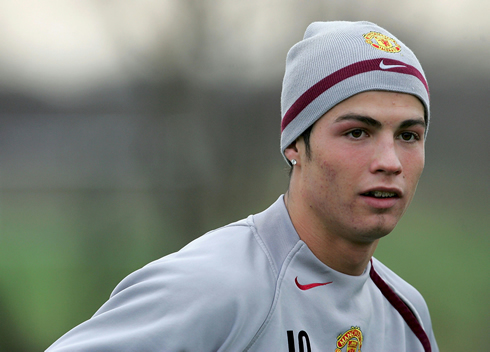 Ronaldo has always shown a terrific attitude and spirit of excelling himself", said the former Real Madrid director. Even though Valdano has been somehow sacked from his position and responsability in Real Madrid, due to several discrepancies in opinions with José Mourinho, the Argentinian doesn't seem to hold grudges regarding the Portuguese coach. Valdano: "This is most likely the best team Real Madrid had, since Mourinho arrived at the club. There were a few moments last season where the team was also able to play high-quality football, which naturally thrilled the fans. However, the current sequence (10 wins in a row) is the biggest since Mourinho coaches Real Madrid and it's notorious that the fans are behind the team." Valdano: "Real Madrid is playing an exciting football, scoring many goals with extreme ease and they completely outplay most of their opponents", noted Valdano before giving an example by referring the recent match with Lyon, for the UEFA Champions League. Valdano: "It was a strong opponent that everyone knew how hard they can be to beat, but Real Madrid pulled off an easy win and with style." Real Madrid next scheduled game is against Valencia, for La Liga, in the 19th of November 2011. Cristiano Ronaldo will now join the Portuguese National Team, in order to prepare the 2-games playoff stage, against Bosnia Herzegovina. The first leg will be played in Bosnia, next Saturday, the 11th of November. The 2nd leg will be played in Lisbon, Portugal, in the 15h November of 2011. The winner will qualify for the EURO 2012.